The National Agency for the Prohibition of Trafficking in Persons, (NAPTIP) in Ebonyi State has taken custody of a woman, Odinaka Ali, arrested by the police for alleged attempt to sell her three children in Enugu State. 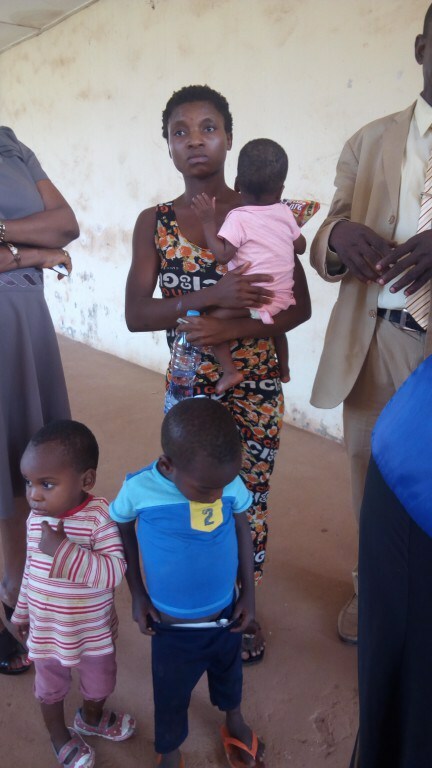 The 25-year-old woman from Ezilo in Ishielu Local Government Area of Ebonyi State was said to be living with her husband in Enugu State with her three children until eight months ago when her husband abandoned them to an unknown destination. Premium Times reports that, according to the NAPTIP Desk Officer, Mrs. Onwa, police arrested the woman following a tip-off by a restaurant attendant she contacted to look for a trafficker who can buy her children as she could no longer take care of them. “She wanted to sell the baby but it didn’t work. She was so unfortunate because the person she met to assist her sell the baby reported the matter to the police,” said Mrs. Onwa. However, the suspect denied the allegation saying though she sought financial assistance from the attendant to feed her children and pay her house rent, she never discussed selling them with anybody. The woman, who said her husband was from Amekpo Ohafia in Ohafia Local Government Area of Abia State, claimed that her arrest by the police and subsequent handover to the State Ministry of Gender Affairs in Enugu State before being brought to NAPTIP Office in Ebonyi State, was a frame-up. She said, “My husband is from Amaekpo Ohafia, Abia State. I and my husband had issues before and we later reconciled. We did not have any problem when he abandoned us in April this year”. “When I stayed few weeks I did not see him, I started doing menial jobs with my little children to enable me feed them. I kept doing this till it became so difficult for me to continue it and I decided to return to my village”. “I didn’t want to sell my children at the initial time because I passed through caesarian operation before giving birth to all of them. I met a girl who sells food in a restaurant and narrated my problem to her and she promised to assist me. “l met the girl before, so she asked me to come to her and wait for a woman who will enter into discussion with me. I waited for the woman and she did not come. I did this three times and I told the girl that I will not come again”. “She persuaded me to continue coming and I changed my heart. Before I could notice it, Policemen stormed the place and started asking me what I was doing there and the whereabouts of the three kids I wanted to sell”. “I told the policemen that I didn’t want to sell my babies because I gave birth to them through operations. The policemen asked me to follow them to their station and I refused. “They immediately invited a policewoman who came and asked me to follow them to the station, that I should obey before complain and I followed them to the station. The head of Child Development Department, Ministry of Women Affairs and Social Development, Godwin Igwe, called on public spirited individuals to assist the woman take care of the children. He said, “the three children and their mother just repatriated from the Enugu Ministry of Gender and Women Affairs to Ebonyi. The woman is from Ishielu local government area of Ebonyi State. When we interviewed her, she said she is finding it very difficult to survive let alone feed her children. She said her purported husband abandoned her and the children in April”. “She said it was very difficult for her to be carrying the third child of eight months old for menial jobs and she became a wanderer. So, the Enugu state government repatriated her. Her mother is late and the father is very old and has nothing doing. “Her major problem is how to eke a living. She said if the government or public spirited individual can assist her, she is ready to take care of her children.